Lewisia: Beautiful Rockery Plant – Lewisia (Bitteroot, Cantelow’s; Shortsepal) in bloom is sure to please; yellows and reds predominate and so the flowers may be pink, peach or orange as well as white. 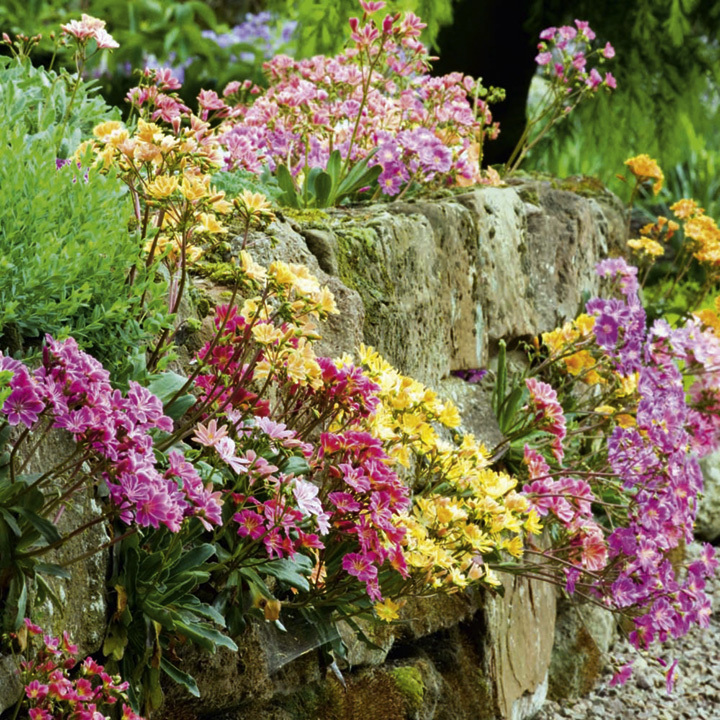 The petals are frequently striped – a colorful display in your rock garden for early summer. Unfortunately, this American hardy perennial plant is not easy to keep alive in the rockery. The fleshy leaves form a rosette and rotting of the crown takes place if water is allowed to stand in the heart of this rosette during winter. 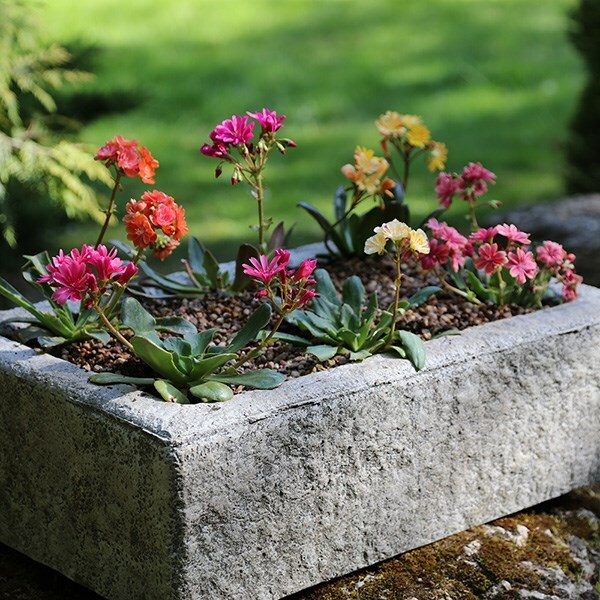 An exception to this trait is Lewisia ‘George Henry’, which will bloom from May until the fall. 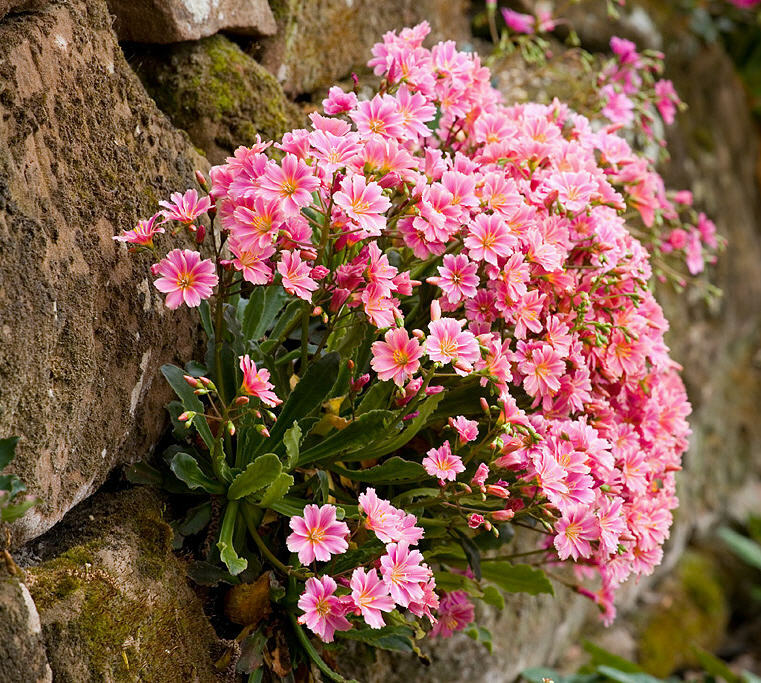 The answer is to plant Lewisia sideways in a crevice between rocks or in a a crack between bricks. You are most likely to be offered a hybrid of the evergreen. 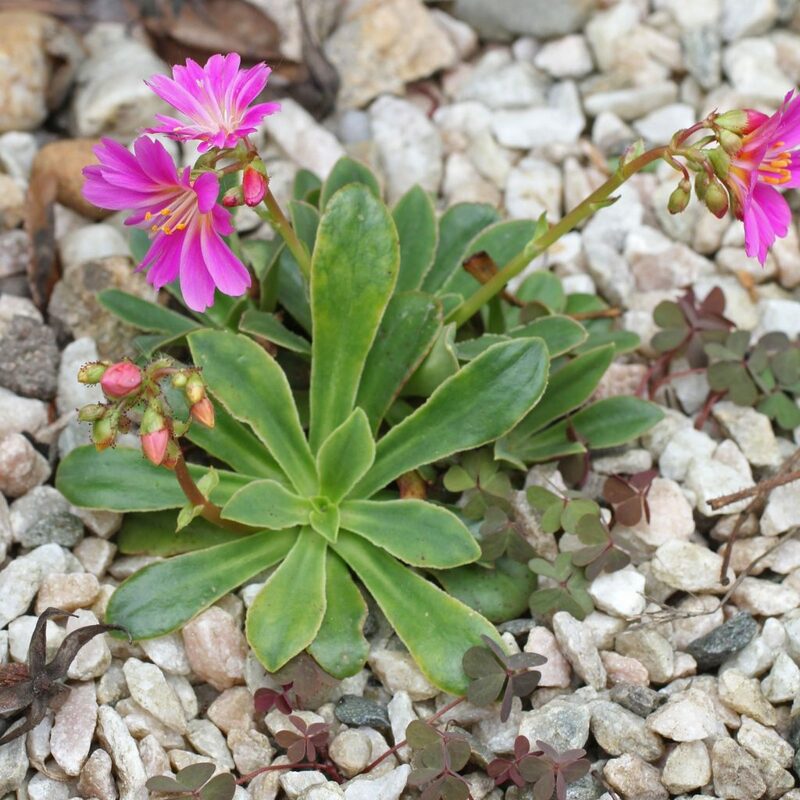 Lewisia cotyledon – hight 1 ft, spread 9 in, flowering period May-June. 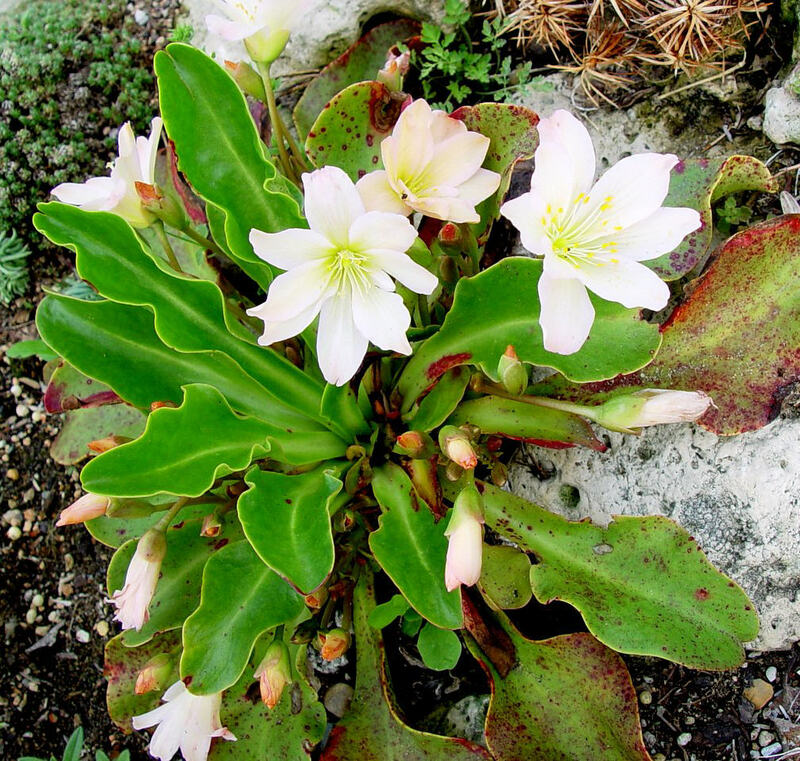 The other species are more difficult to grow – there is the white-flowering Lewisia brachycalyx which blooms in May; the aristocrat of the group is Lewisia tweedyi – height 6 in, spread 9 in, which bears 2 in. silky flowers in April and May. 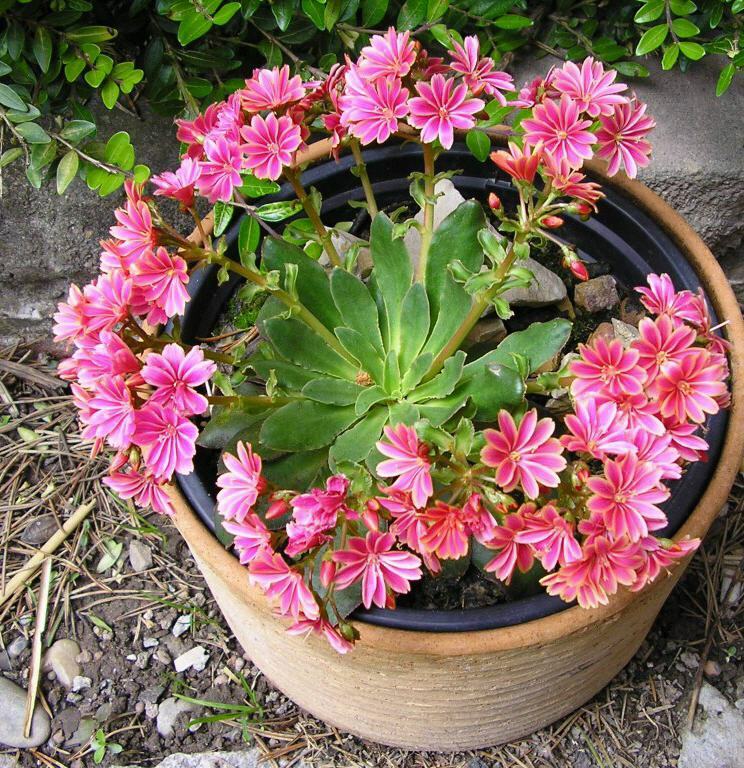 Lewisia rediviva is the state flower of Montana. Mix seeds in a moist growing medium, place in a freezer bag, then stratify by refrigeration for five to six weeks. Once germinated allow to grow for one year. Transplant outdoors in the spring. Requires well-drained soil in full sun. Sow seeds under glass in early spring or plant offsets as cuttings in a cold frame in early summer.